Dimensions : L : 36" H : 24" W : 12"
An original architectural exhibit space hand constructed to a 1/8 scale. Found on each side of the elevator and staircase are two double car garage that can be accesed from any direction. 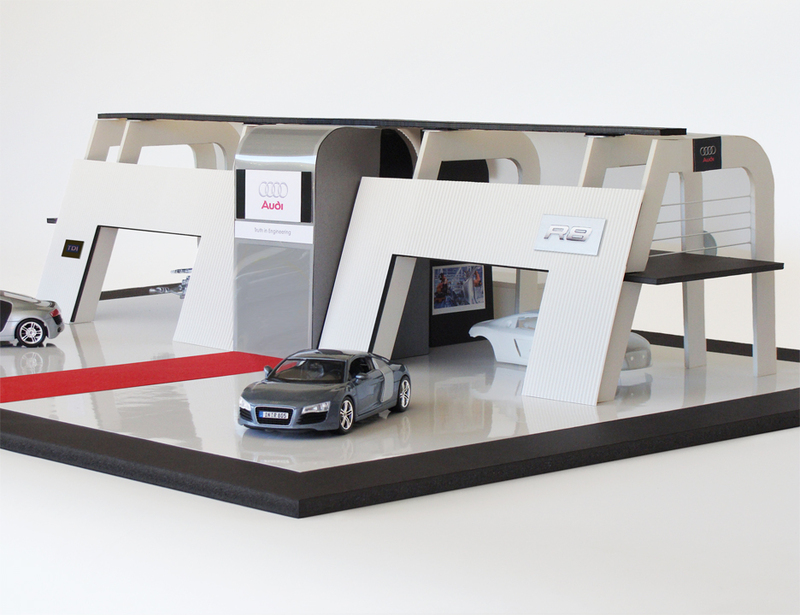 This structure reflects the clean, minimal and futuristic aesthetics found throughout the AUDI brand.